Seventeen-year-old Alyson Butler is living a dream life in Los Angeles, California, and she’s hoping for the perfect summer before her senior year. The daughter of two successful Hollywood professionals, she enjoys a life of privilege, wealth, parties, and independence—as she rarely sees her parents. But when an unfortunate decision lands Alyson in rural Minnesota as punishment to spend the summer with her grandparents at Davis Lake, she quickly realizes that living in this small town will be a far cry from the glitz and glam she is accustomed to. A slow start at the lake has Alyson believing she won’t survive beyond the first week, but things begin to change when the seemingly perfect Marc Maylore and his friends arrive a few doors down. As Alyson tries hard to keep her own secrets from those she meets, she soon realizes there may be more to this little town than she initially thought—and that anyone can be hiding something. 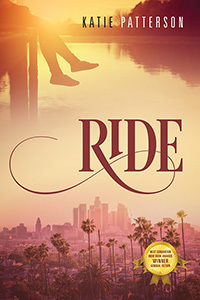 Ride is a story of love, loss, friendship, lies, and self-discovery. As Alyson soon learns, moments in life define us, but it is our choice as to who we become.